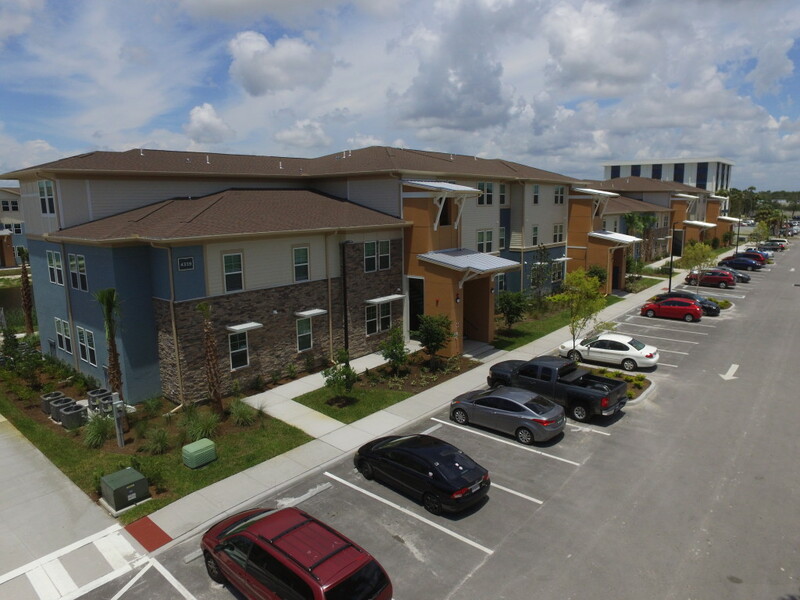 Park at Wellington is a multiphase 220-unit affordable housing community for working families in Pasco County, Holiday, FL. 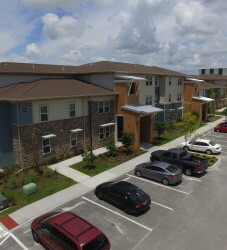 The community is uniquely located approximately 30 miles northwest of Tampa along US Highway 19, a major commercial corridor. 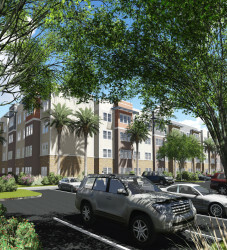 Park at Wellington has two phases, Phase I is a garden style development with 110 units. 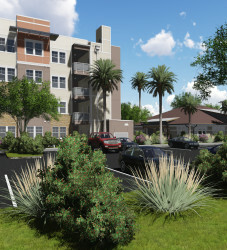 Phase II is a 4 story mid-rise elevator building with 110 units. 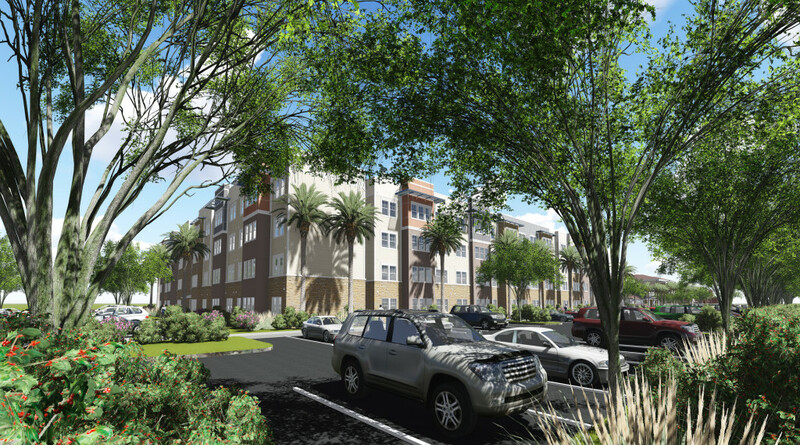 The architectural design inspiration for the Park at Wellington apartments is derived from two principal sources: Traditional Florida Vernacular and Wrightian Prairie Style. 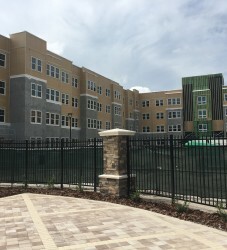 Core elements of the residential buildings consist of a high stone wall base and low-pitched hip roof. 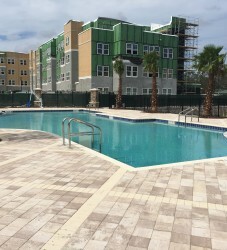 The Florida vernacular elements include mixed stucco and siding walls, large roof overhangs, awnings, large decorative roof brackets and landscaping. 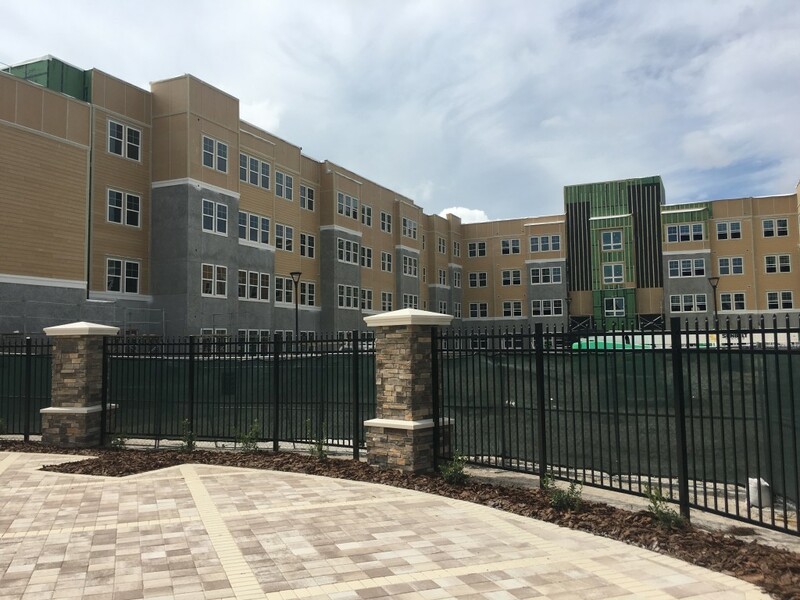 The Wrightian details include mock square-pane clerestory windows and exterior wall light fixtures. 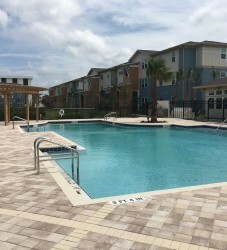 The centerpiece of the community is its fully loaded clubhouse featuring a cyber café, resort-style pool, fitness center, children’s learning and play center, gathering/media area, and laundry facility. 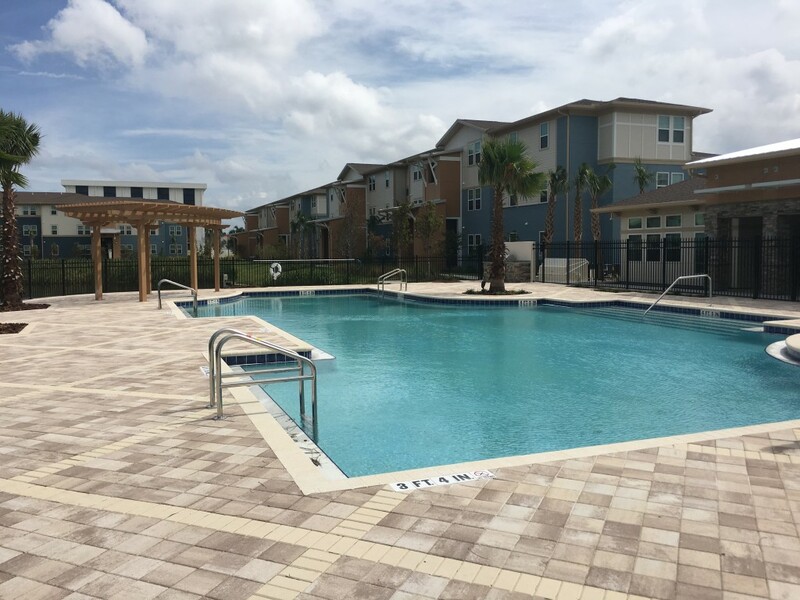 Residents will also enjoy a large playground, dog park, sports court, and a walking path circling a pond with various seating and gathering areas. 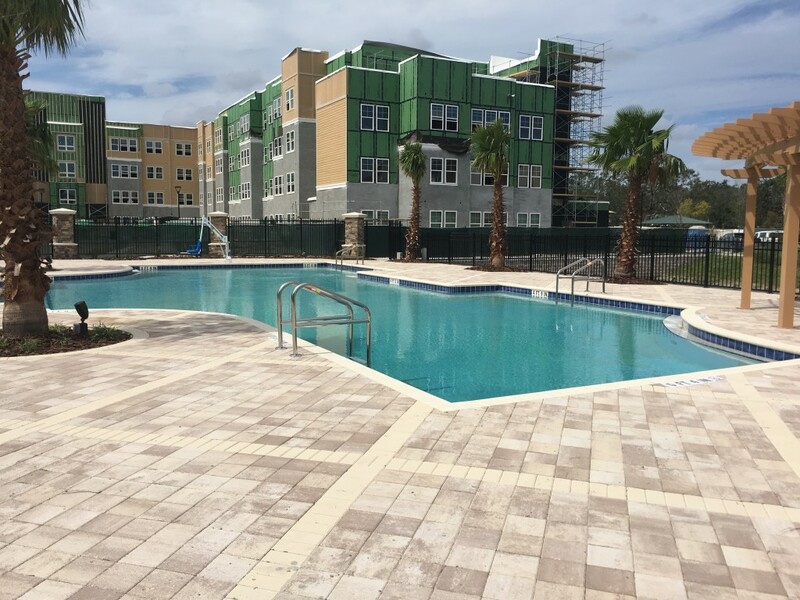 The community is conveniently located directly across from a Publix grocery store, elementary school, gym, and public bus stops.